Feel the burn, with the House of Eros Long Dragons Tongue Whip! Falls lightly, stings nicely – The House of Eros Long Dragon’s Tongue is a delight to handle and leaves quite the impression. 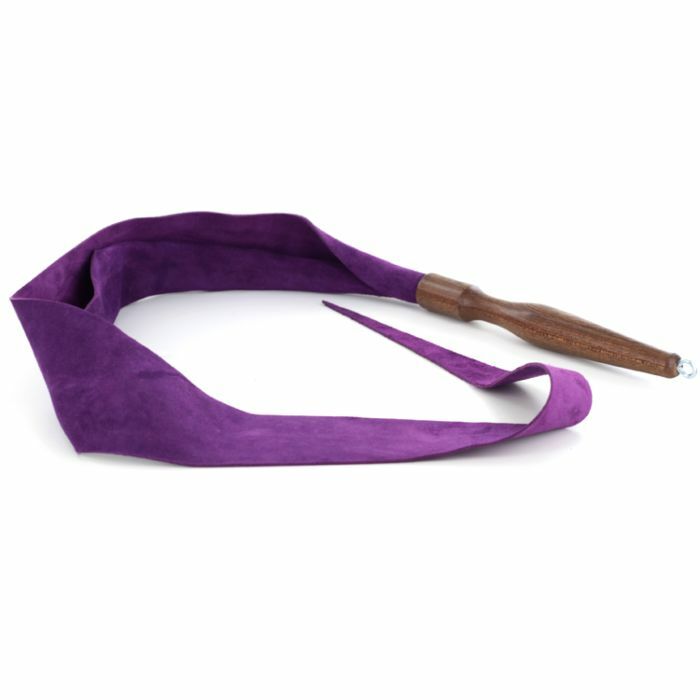 This elegant dragon tail whip is made from a luxuriously soft and fluid piece of Chianti suede attached to a delightfully lightweight hand turned sapele wood handle. This ergonomic handle feels as though it was custom made for your hand, enabling optimum control at all times. You’ll love the way it feels as you hold it and how it handles when you swing it. All it takes is a flick of your wrist to send the Dragon’s Tongue sailing through the air to find its target. Once it does it leaves the most delightful red mark as a lasting reminder and with a sting to match. Tapered into an extremely tantalising tip, this Dragons Tongue Whip delivers incredibly intense sensations. Crafted from the finest quality suede leather and wood, it has been made to an impeccable standard of quality. The softness of the suede and the sting in its tail make a deviantly delightful combination!